Here's the amount you should give to each person you want to thank. Cash is ideal for holiday gratuities, but prepaid gift cards also work. “It's a way to personalize it, if you know somebody likes a certain thing,” Senning says. In the case of your mail carrier, though, steer clear of greenbacks; U.S. 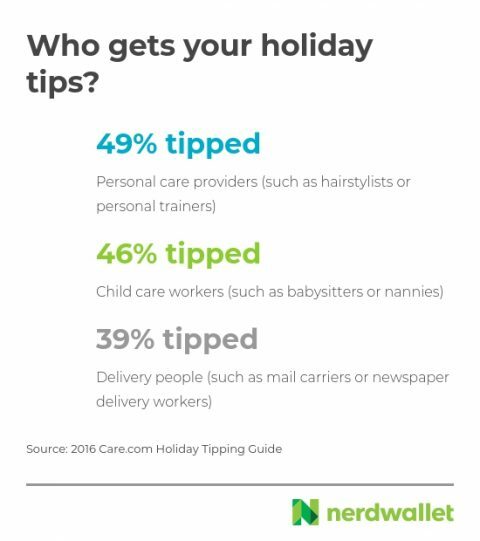 Postal Service regulations forbid employees from accepting cash tips and specify that gifts should cost no more than $20. If money is tighter than usual, or you didn't include these tips in your holiday budget, don’t fret. A batch of home-baked cookies or another heartfelt present can be perfectly nice. Whatever you give, “a handwritten note is really important,” Senning says. “Part of any good tip is a genuine expression of thanks.